Offering you a complete choice of products which include permanent magnet. Being a customer focused organization; we are engaged in manufacturing and supplying high quality Permanent Magnet. Offered magnet is used to remove iron particles from the material, which is going to feed the boiler. Besides, we make sure that the consignments are timely delivered at customers’ destinations using easy shipment modes. 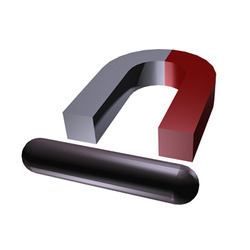 Looking for Permanent Magnet ?